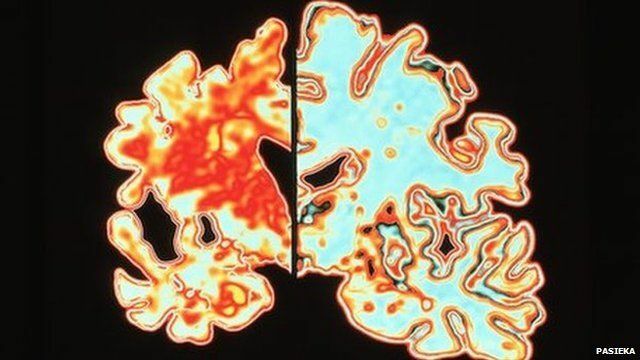 Concern over dementia-drugs 'link' Jump to media player American researchers say they have confirmed a link between high doses of some over-the-counter medicines and dementia, the BBC's Sophie Hutchinson reports. Care home residents enjoy cocktail party Jump to media player At a care home in London cocktail parties are used to allow elderly people with dementia to relive their younger years. 'Care for my husband, mum and grandma' Jump to media player Ann Reid thinks it is wrong that self-funders like her mother are "subsidising" the care home system by being charged more than local authorities. A day in the life of a care home Jump to media player Eastlake care home in Surrey is typical of the modern care home. Disabled man in care battle win Jump to media player The family of a Cumbrian man who has Down's Syndrome and dementia has been told he can be cared for in his home town. Saracens trial 'concussion' device Jump to media player BBC Sport looks into why Saracens players wore impact sensors behind their ears in Saturday's win against London Irish. Families 'should be involved in care' Jump to media player Nicci Gerrard has mobilised a wide range of people to bring about a change of culture in hospitals and has created 'John's Campaign' to highlight the issues involved. American researchers say they have confirmed a link between high doses of some over-the-counter medicines and dementia. The study claimed that common treatments for hay fever and sleeplessness increased the chances of developing the condition.